It’s Friday! woohoo! Welcome back everybody, I’m your occasional Friday Night Cryptkeeper, JB! It’s been a while due to technical issues, but I’m so glad to be back! We’ll keep it simple on the return here, so let’s all post some our favorite funny game related memes and images. 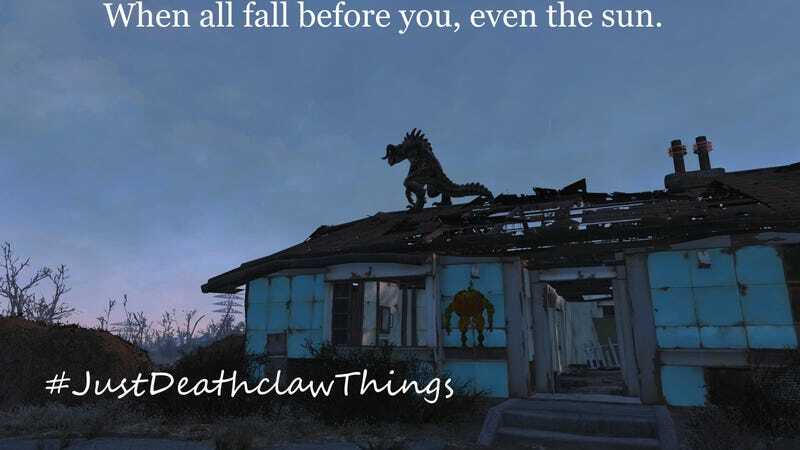 The rest of us shall ponder them like our Deathclaw up there ponders a sunset,or laugh and point. You know. Whatever. Come on, TAY, SHOW ME WHAT YOU GOT!